Do you have fencing issues? We can help! At Fence Installation Spring Hill, we are one of the premiere fence installation companies in Hernando County. We work with homeowners and commercial businesses. We can help you with all your fence installation needs. Regardless of the fence material, Wood Privacy Fencing, Wrought Iron Fencing, Chain Link Fence, Vinyl Fence, PVC Fencing, or Security Fencing, we're your fence installation company in Spring Hill, Brooksville and the surrounding areas. Our licensed fencing contractors will provide your affordable fence installation so you can be sure you will get the best service in town! Fencing takes time and money to build. We make sure when you pick your materials, you do it right the first time. Having the right fence when and where you need it helps ease the mind. Is the ground flat? Or does it go over hills and ditches and around curves? Is it covered with brush, trees or open grass? Are the soils rocky, very soft, sandy or firm? The optimum fence design often hinges on answers to these questions. Why are you installing the fence? Is it for privacy? To keep the pooch in the yard? To keep the neighborhood kids from pool hopping? Are you replacing an old fence? A fence can function in multiple ways, the first step is deciding what your needs are and to choose one that works for you. Considering a wood fence? Before you buy a wood fence think about the commitment you're making. Wood fences require occasional staining or sealing. They can warp and rot over time if not properly cared for. Vinyl is a low maintenance material that offers the look of wood without the constant upkeep. Additional material options include aluminum, steel, wrought iron, and chain link fencing. Confirm with your homeowners associations and building code officials regarding the codes that dictate fencing style, height, and material. County codes or homeowner association rules may specify which side of the fence has to be placed toward the public face of the property. 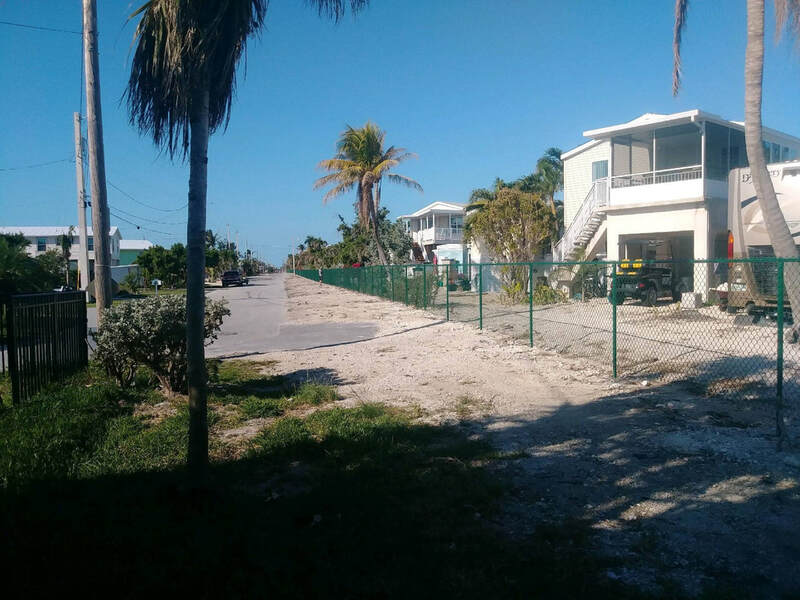 You will need to find out how far a fence has to be set back from sidewalks and property lines. Be sure to find out if your fence project will require a building permit. Installing fences is harder than it looks. Especially without the proper equipment and experience needed. Call our fence companies today at 352-835-5040 to have your fence installed right the first time. Let your neighbors know about your fencing plans. Be considerate and try not to block their views. If need be, a shared fence may be built by two or more neighbors, but any agreement should be in writing and only after the property boundaries have been professionally surveyed. Always take your climate and weather conditions into consideration when purchasing your fencing materials. For convenience, plan at least two entrances into a fenced area. Make sure that one of these is large enough to allow for bulky outdoor equipment such as a lawn mower, large garbage cans and the other items. Once your fence is installed, you can customize it with decorative posts or landscaping. Planting a row of flowers in front of it creates a truly welcoming facade. Fence Installation Spring Hill installs all types of fencing. We install residential and commercial chain link, wood and vinyl privacy, picket, ornamental steel, split-rail cedar, farm fence and much more. We also install automatic fence gates. Fence Installation Spring Hill never charges for a fence installation estimate. Our professional installers will meet with you to answer all of your questions, and provide your free fence estimate. Call our local fence company today at 352-835-5040. ​An attractive low-maintenance fencing choice, vinyl, comes in picket, privacy, and even ranch rail. Available in a variety of styles, and colors, vinyl is very versatile. From wood look vinyl, to various colors, to the traditional white picket fence look, vinyl fencing is the go-to fencing for many home and business owners.Other than cost, vinyl fencing is far superior when it comes to any other category. Vinyl fences are much stronger and flexible compared to wood fences. Vinyl fencing is low maintenance fencing, all you will need is a hose and soap to make it look as good as new. Installing a vinyl fence has a higher upfront cost, but given its low maintenance costs and long lifespan, vinyl fence is more economical than many other fencing types. Vinyl fence panels come in a variety of colors and textures. Our experienced fence contractors can help you decide which vinyl fence meets you needs. Available in a variety of styles, including open picket, closed picket and scalloped picket, vinyl pickets give the look of the classic American picket fence. Vinyl picket fence heights range from three to six feet. Call our fence company to discuss your vinyl fencing options. Vinyl ranch rail, which comes in two, three and four rails, is a beautiful choice for a classic low maintenance perimeter fence. Please call our fence installation company, for a free estimate or complete our contact form for more information. ​Galvanized chain link fencing is the most common type of chain link fencing. It is perfect for designating property lines, keeping pets or other animals in or out, protecting children and adding value to your home. Also known as cyclone fencing, Chain link fencing does not add much privacy to the home, but performs the other basic functions of a fence quite well. Homeowners, will be delighted to know that chain link fence is inexpensive, durable and needs very little maintenance. We offer residential fencing in various gauges and colors. We also offer various types of commercial chain link fencing. ​Wood fence is the most popular fencing choice across America. Not only does it give homeowners a sense of privacy with the height wood fencing provides, but they are also one of the more attractive options on the market. They give homeowners a warm and welcoming feeling and without the headache of breaking the bank. The price of your fence will be greatly impacted by the height and length of the fence. The more wood you require, the more expensive the project will be. Wood fence offers a wide variety of styles, making a wood fence a great choice for a strong, beautiful fence. The most popular styles of wood fence are privacy, picket and rail. Wood fencing can be stained to coordinate with the surroundings, while many homeowners choose to let wood’s natural beauty shine through. Our experienced fence contractors can help yo select the wood fence style that is best for your fencing project. If you are seeking total privacy, for your home or business, dog-eared cedar pickets are the most economical choice. When we hear White Picket Fence, we all have visions of the quintessential American home. Wood picket fencing is typically cedar and can be stained to retain the original look of wood or painted white or whatever color you choose. Fence Installation Spring Hill is your local fence company with personalized customer service. Whether you are looking to replace an old fence, or install a new fence we can help. Call us today at 352-835-5040, or fill out our convenient contact form to inquire about what we can do for you. Our fence estimates are always free. We are a full-service fence company.